With our proprietary work-flow software and over 20 years of experience in patent claim analysis (and known as the “patent miners” in the early 2000s), TechPats is the right partner for mining your patent portfolio to categorize and find the most valuable assets. When looking at a patent portfolio, TechPats’ goal is to identify the “deal drivers”—i.e., the highest rated, most applicable patent claims that will have the highest likelihood of provable infringement. Whether the portfolio includes a dozen patents or several thousand, our in-house-developed work-flow and deal-flow software, iPatents, can be utilized to help our subject-matter experts identify those patents with the best claims. Our software tools are utilized to maximize our efficiency, but there simply is no substitute to claim-based analysis by a patent professional who possess extraordinary skill in the art. Our analysts rate and rank each examined patent in the portfolio to produce a “top-list” report of the most valuable assets. From there, TechPats can focus the team’s efforts, identify potential infringement of portfolio assets, and help design a tailor-made strategy for the client’s needs. Many patent owners and counsel understandably don’t have a complete picture of what assets their company owns. Whether it is because of the large size of the portfolio, diversity of technologies, asset transfers from mergers and acquisitions, or new leadership, getting an independent professional assessment of your portfolio is a necessity. The general goal of patent mining one’s own portfolio is typically to organize the portfolio and to identify the “top list” of the best assets. Whether the portfolio includes a dozen patents or a few thousand, our proprietary work-flow and deal-flow software, iPatents, can be utilized to help our subject-matter experts rate and rank patents to identify top assets with the best claims. From looking deeper at the assets in the “top list,” decisions can be made about monetization strategies such as Licensing, Litigation, or even Sale. Depending on the portfolio size, the best of the top list are sometimes called “deal drivers” and are thought of as the gems unearthed by the patent miners. Mining can also lead to Identifying Low-Return Patents (link). Again, all portfolios are different and will yield unique results, but an independent, professional evaluation of the patent claims is the key first step to identifying the assets that deserve the most time and resources in a monetization campaign and business decisions. There are many reasons why one company may want to examine another patent owner’s portfolio, but the two key motivators are usually cross-licensing or due diligence in a potential acquisition. In any case, our proprietary work-flow software, iPatents, can be utilized to help our subject-matter experts identify those patents that will drive the deal discussions. TechPats generally mines another patent owner’s portfolio in the same manner as mining a client’s portfolio to produce a top-list of the best assets and help develop a strategy. Often, when asking our analysts to mine another company’s assets, clients come to TechPats with a potential target or targets in mind. For instance, in cross-licensing preparations, evaluation for the client’s potential exposure to potential claims of infringement would drive the analysis. With regard to a potential portfolio acquisition, the acquirer may be looking to improve their leverage in licensing discussions with one or more parties. TechPats can easily analyze the portfolio in view of potential infringement by industry players on the acquirer’s “white-list” (or identify use by companies absent from a “black-list”). When looking to acquire patents in order to drive revenue, TechPats has a wealth of experience in helping our clients mine patents for acquisition. For each IP portfolio management program, the goal is to mine patents that provide a solid return on investment through licensing or litigation. Yet, patent mining and acquisition services are not a simple process. Which patents should you pursue? What is the best way to approach the current patent owner? The experts at TechPats can help you navigate these issues and questions. As experts in IP services and acquisition, we find the “hidden gems” in the intellectual property marketplace that carry the most promising patent licensing opportunities. 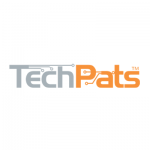 Unlike some economy patent and portfolio reviewers who might fully rely on an unpredictable automated system, TechPats’ subject matter experts use a proprietary work-flow software tool to personally see each claim in a mining set. Working with the client, we can efficiently review thousands of patents and economically conduct IP valuation to identify the best, obtainable few that fit the needs and goals of your company. From our experience contacting over 6,000 patent owners through our 20 years of work, we can confidently handle the negotiations of your patent purchases to reduce time and risk. Plus, by negotiating the best price for every patent we help you mine and purchase, TechPats can help maximize a budget.